Sky's on-demand PAYG offering Now TV looks to be heading to UK shores before YouView. Considering YouView was announced before television was invented – at least it feels that way – this will be a massive blow to the service that's trying to push itself as the de facto place for web content through a set-top box. Now TV is a big gamble for Sky. It will be the first time Sky has offered its content out to consumers on a pay-as-you-go basis and not through a subscription, which has been its business model since it began in the broadcast business. "Now TV will widen the availability of Sky content on broadband-connected devices." According to Sky's first quarter results, Now TV is on track to launch in the first half of the year, "widening the availability of Sky content on broadband-connected devices." Flick over to YouView and the picture is a little different. This is because its chairman Lord Alan of Sugar has asked for the service to be delayed as it just isn't up to scratch. This delay is one of many, and let's put it into context: if this was an idea on The Apprentice the person who came up with it would have been fired in the first week for failing to deliver anything. There are differences between YouView and Now TV – Now TV is likely to be PC and mobile focused, while YouView begs to be attached to a television by way of a set-top box. 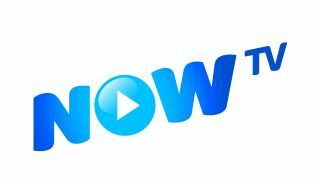 Although YouView is certain to arrive at some point in 2012 – the backing of BT, BBC, ITV, Channel 5 and Arqiva gives it a 'too big to fail' air – it may be a case of too little too late.